Sunpentown Dehumidifiers are an absolute necessity for those suffering from dust mite allergies, mold and mildew allergies, or for those who want to keep their indoor humidity level below 60%. Remove moisture from the air and enjoy year around comfort in your home or office. 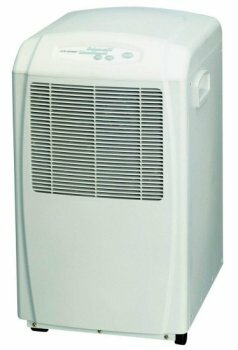 This 40 pint Sunpentown Dehumidifier pulls the water out of the musty air and makes you feel more comfortable. Your home and furnishings will benefit as well from this environment change. As the humidity is reduced, so are the instances of sticking windows and doors, dripping pipes and musty odors. Unit Dimension WxDxH = 13.78x16.73x22.83inch. Soft-Touch Electronic Control Panel, Displays the room humidity, Four Humidity Settings for 60%, 50%, 35% and Continuous dehumidification, High and Low Fan Settings, Auto Defrost (De-icer), Full Bucket Indicator, Drain Hose Connection (hose not included), With casters for easy moving, With a removable bucket that won't overflow, Automatically turns off when it is too cold for the compressor to run well, Washable air filter that is easily removed for cleaning.